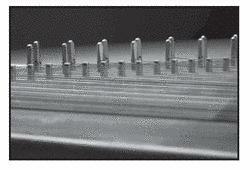 A musical instrument resembling a zither equipped with a row of buttons, each of which damps all of the strings except those forming a desired chord. a zither having buttons that when depressed damp all strings except those to be sounded. A small zither-like musical instrument popular in the early twentieth century. SMALLER ROOMS PRESENTS MOULETTES: Moulettes are a Brighton based British band of Bjork, Frank Zappaand Gentle Giant loving Multi instrumentalists that weave in and out of several genres with three part harmony female vocals, amplified Cello, distorted bassoon, auto-harp, guitar, drums, bass and synths into an incomparable Alt. Frontman Sam 'Widge' Kempe was re-christened Samuel 'Pinkerton' Kempe and given an amplified auto-harp, which was to become the trademark of the band. Pinkerton's get ready to Air some old favourites..
Then there's the tin whistle, auto-harp, harmonica, keyboard and congas.